Yvette MBE has lived in North Kensington for over 30 years she previously worked with the Mangrove Community Association and has served tenure as a Trustee for the Tabernacle Community Centre and the Pepper Pot Club. She is also a founding member of operation black vote – a national campaign encouraging BME communities to engage in the democratic process to get their voices heard and has worked with a number of campaigns including those for Stephen Lawrence and Frank Critchlow Yvette has a professional background working in Education and Criminal Justice. Both Yvette and her daughter witnessed the fire at Grenfell Tower; after being alerted by a family friend who was evacuated from one of the walkways. Moyra is a teacher who has taught at a local primary school and Kensington and Chelsea college. She is a local activist who has lived in North Kensington for the past 30 years. She was born in South Africa and came to London in the dark days of apartheid. Her experience of apartheid has given her a deep rooted understanding of the importance of fighting inequality and injustice. She has been part of local campaigns to defend the local library in Ladbroke Grove, to stop the Silchester estate from gentrification as well as being a member of Westway23, a community organisation. Moyra is also a key member of the NW London Stand Up to Racism, group. She has 2 adult children who went to school locally and had school friends who lived in Grenfell Tower. Nour-eddine Aboudihaj is a University Lecturer, community champion and an Executive Coach. He has an extensive experience in Organisational Development and Community Engagement. He graduated from Hassan II University-Casablanca with a Bachelor of Arts Degree in English Literature Languages and finished his post-graduate studies in the University of Westminster, London. As part of his continuous Personal Development he recently did a Post Graduate Diploma in Education at Canterbury Christ Church University. He has a pool of skills, and a body of knowledge that have enabled him to spearhead and successfully delivered many projects that benefited the local community. 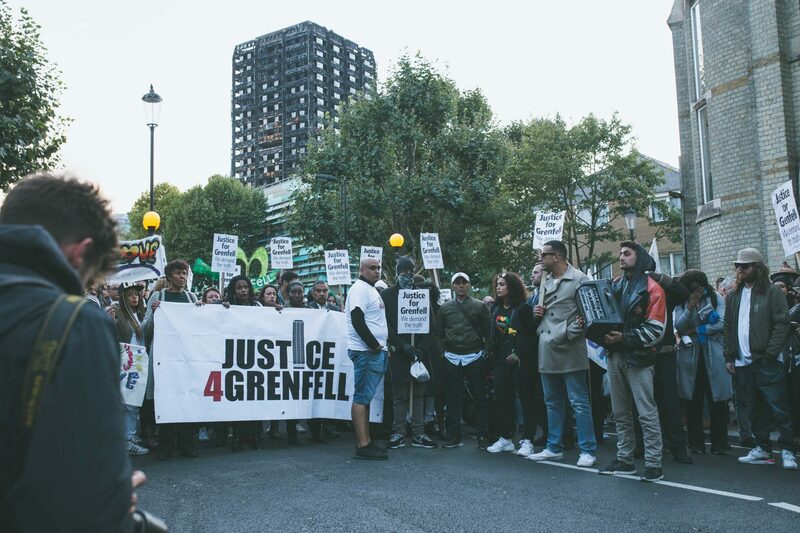 He is now working with Justice for Grenfell to campaign for justice for the people affected as a response to the Grenfell Tower Fire.